Stainless steel fan forced side opening is rated 4.6 out of 5 by 13. 596W x 568D x 595H(mm) ? 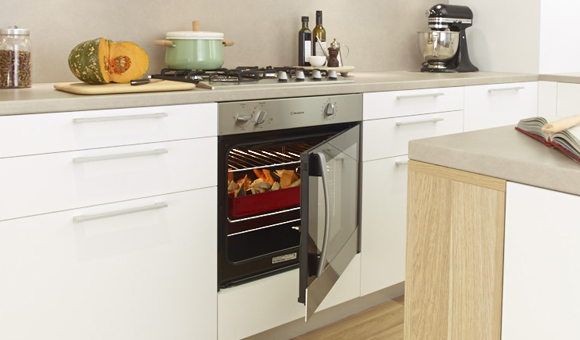 Side opening door allows you to get closer to the oven and minimise reaching. 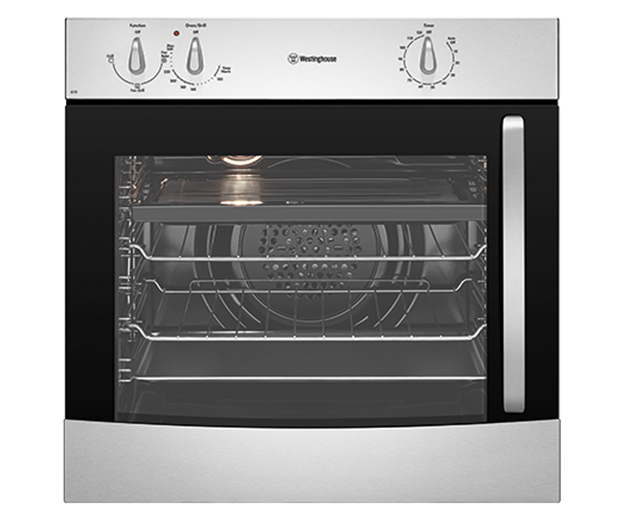 Rated 5 out of 5 by Chris195 from Extremely Qiuet & Great Features I recently purchased this oven as a replacement and am extremely happy with the performance over and above the previous oven, which was a competitor's. 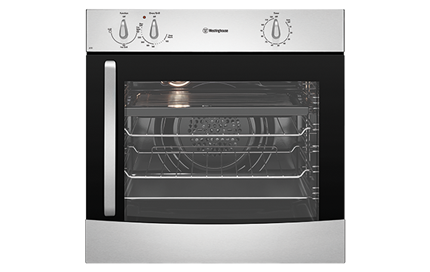 The previous oven was noisy, whereas this one is quiet. 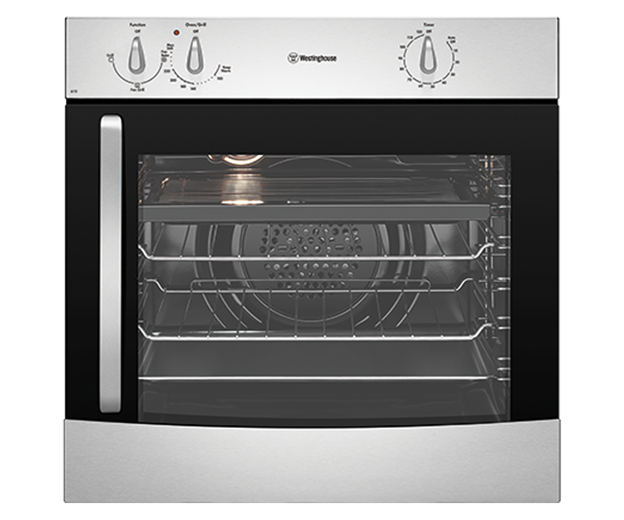 I looked at other competitors ovens both made here, in NZ and Europe and nothing came close. It's also the only one I could find that was made in Australia and the company Australian owned. Rated 5 out of 5 by Jane77 from Great features! We have had this oven for one month and it's brilliant. 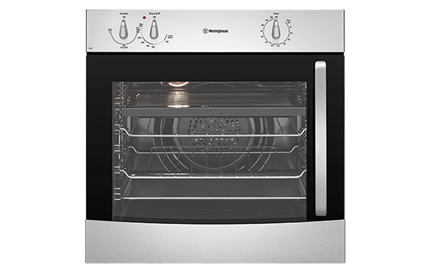 The oven is fan forced, with fan grill and grill. 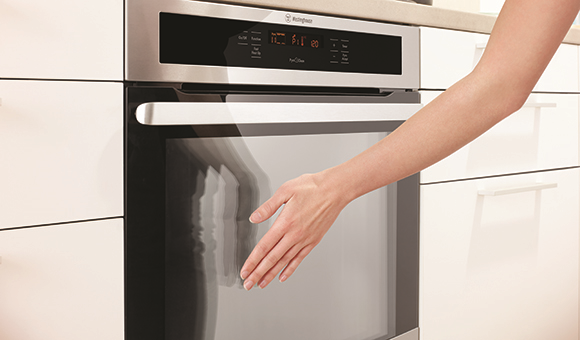 Excellent for baking and easy to clean stainless steal that doesn't leave finger print marks. Its a modern appliance. Very pleased. Thank you. Rated 1 out of 5 by gore from Fan Fault We had 17 fitted and we have had to bend the internal fan blades on all because of them knocking on the heating coil this is a major fault. 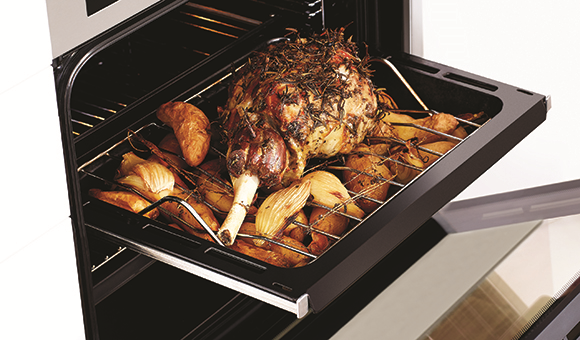 Rated 5 out of 5 by Chezyl from Excellent oven, excellent customer service!! I bought this oven online and couldn't be happier!